Jared Petersen Tops the Field in the $50,000 HITS Grand Prix! That's a Wrap for the Ocala Holiday Classic! 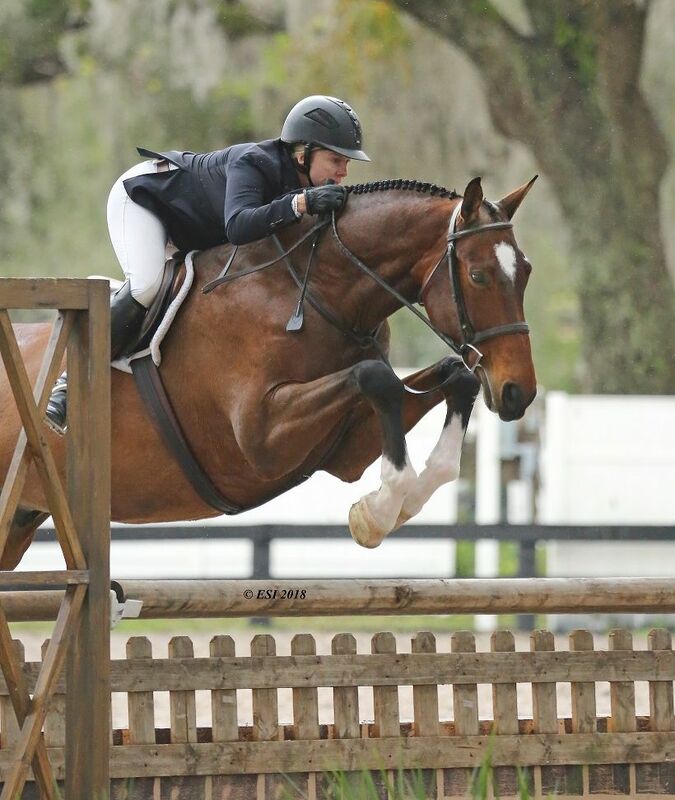 Back and better than ever, returning for the 38th consecutive year, the 2019 HITS Ocala Winter Circuit kicked off with the Ocala Holiday Classic last week. Check out some of last week’s highlights below! Starting off the week in the Grand Prix Ring was the $2,500 Johnson Horse Transportation Welcome. Aaron Vale took home the blue ribbon aboard EYE CATCHER in a time of 33.357. It was a three-for-three finish for Nicole Bellissimo in the $10,000 Open Prix on Thursday as she took top honors aboard VDL BELLEFLEUR in a time of 35.118. Grace Debney finished first and second in the $2,000 Marshall & Sterling Child/Adult Jumper Classic aboard DARC KISS Z and BYOLGA, respectively. Taking home the blue ribbon in the $5,000 Jr/A-O/Am 1.30m Jumper Classic was Alexandra Millar and VAMPYR VAN DE RIB. Hayley Waters would start her day with a one-two finish in the $7,500 U-Dump Jr/A-O/Am 1.40m Jumper Classic aboard GALOUS and QURINT, respectively. Taking home top honors in Sunday’s featured class, the $50,000 HITS Grand Prix, was Jared Petersen and CANTANO 29. Petersen would cross the timers, with the only fault free ride in the jump-off, in 39.366 for the blue ribbon. In the hunter rings, riders were ambitious to earn some early qualifying points for the HITS Championship held annually in Saugerties, New York. Helen Goddard topped the field in the $2,500 Devoucoux Hunter Prix, guiding her mount, MY WAY, to an overall score of 167. Goddard had the high score of an 85 in the first round and maintained her first place standing with an 82 in the second round. Stay tuned for another exciting week of show jumping competition at HITS Post Time Farm. The Ocala Holiday Festival begins this Wednesday, December 19 featuring USEF-Rated Hunter, Jumper, and Equitation classes. Want to get in on the excitement? Enter today! Now in its 38th year, the HITS Ocala Winter Circuit has proven to be the place to show on the East Coast in the winter as its popularity continues to grow. HITS Ocala has consistently delivered a best-in-class show for a best-in-class show jumping experience. HITS Post Time Farm, nestled in the Horse Capital of the World, is laid out across 450 lush acres with over 100 permanent paddocks, an abundance of rings for schooling and lunging, acres of prime grazing and trail riding area, and an overall horse-friendly atmosphere. Join the HITS family and make HITS Post Time Farm your home-away-from-home this winter! Take advantage of our new pricing for Circuit Tent Stalls - just $1,000 for the ten-week HITS Ocala Winter Circuit when ordered by January 2, 2019. Select Permanent Stabling options and on-site housing is also available. For more information on this and other stabling options, contact us at StablingFL@HitsShows.com.